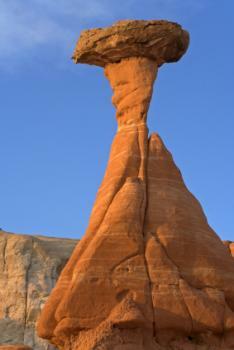 Utah boasts amazing natural landscapes that photograph well. Finding cool places in Utah to take pictures is a snap. The state boasts five National Parks that feature breathtaking mountain vistas, miles of awe-inspiring nature trails, and dozens of waterfalls and lakes. 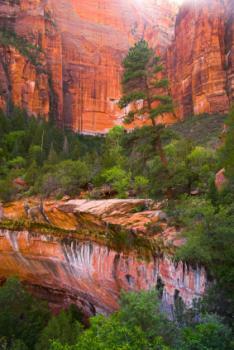 Utah is a dream subject for landscape and naturalist photographers. The state is home to some of the world's most famous natural wonders, including endless rolling sand dunes, expansive salt flats and phenomenal rock formations that can't be found anywhere else on the planet. 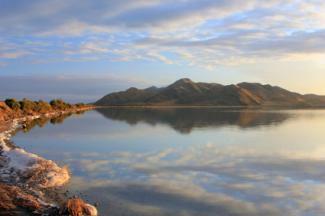 Utah's Great Salt Lake is the largest body of inland saltwater in North America. The lake and its surrounding areas provide numerous photo opportunities. In addition to the standard landscape shots that can be snapped in the daylight hours, the lake is an excellent place to capture gorgeous sunset photos. Your pictures can also benefit from the lake's clarity. Use the crystal clear waters to shoot photos of the clouds reflecting off the lake's surface. For fun shots, take action photos of your friends participating in water sports like swimming, water-skiing or wakeboarding. Zion National Park is considered one of the world's greatest geological wonders, as it is home to some of the most incredible rock formations. Time has created large expanses of rock layers that have naturally eroded and tilted into a feature called the Grand Staircase. 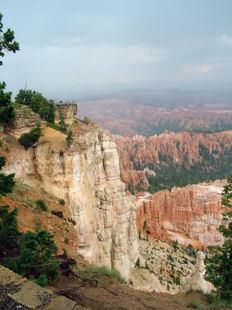 The rock stairway consists of a series of colorful cliffs stretching between Bryce Canyon and the Grand Canyon. The natural stone formations are also well preserved in a little known portion of Zion National Park called the Kolob Canyons. The area is a mecca for landscape photographers looking to capture the true beauty of the rugged, red, Navajo sandstone canyons in a series of shots. It's a challenging proposition to recreate the serene beauty of the area in a single shot, given all there is to document. From cascading waterfalls tumbling down rugged cliffs to colorful wildflowers blossoming near the valley's scrub oak, photographing all of Zion National Park could take days. 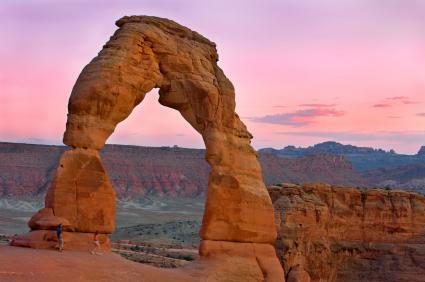 Recognized as one of the most photographed places in the United States, Arches National Park is home to unique photo subjects. The park contains the world's largest concentration of natural stone arches made from eroded sandstone. The distorted stone forms natural fins, pinnacles, spires, and arches that rise above the red, arid desert. The 73,000-acre park boasts more than 2,000 of these "miracles of nature," which means that you won't have to hike far to photograph them. To spice up your shots, have a friend pose by an arch with his hands pushing up against it to make it appear as though he is trying to knock it down. If you plan to photograph the wildlife at the Canyons of the Escalante, consider packing a variety of lenses. It may be challenging to get up close to skittish animals.